So why is coaching back in vogue? Because coaching works! The increase in optimism regarding the world’s economy has resulted in vast quantities of companies investing in business coaches, executive coaches and leadership coaching. Quite simply, an industry that it is a growth phase is definitely the place to be. Opportunities and potential lie in each and every business. There is no doubt that the time is now! Business Coaching is one of those dynamic and never-a-dull-moment opportunities to combine business knowledge with interpersonal skills, allowing the coaching to achieve their goals and move forward with their lives. There is little more excitingand rewarding than igniting a fire of passion under someone who accepts responsibility for their own development… and then watching them race towards their finish line. 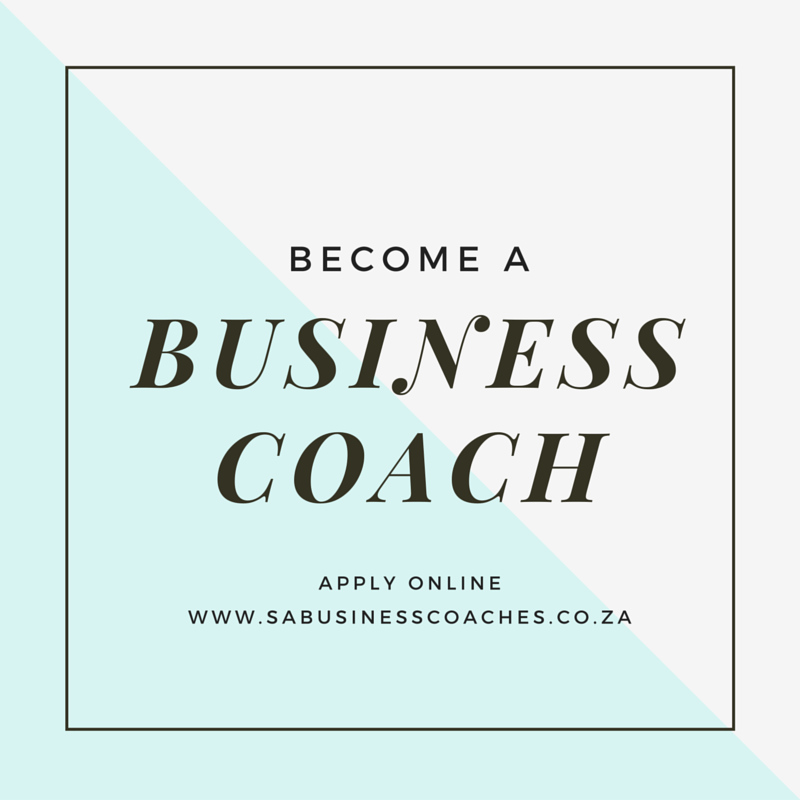 So why become a business coach through SA Business Coaches? SA Business Coaches offers the only business coaching course with a comprehensive business syllabus, psychological syllabus and coaching syllabus. Categorically, this is the only course that really gives you all that you need for a very competitive price, designed to be delivered in a manner that not only enhances your learning, but is also manageable for those who are working. Integrity is at the heart of each coaching intervention. Chemistry between coach and client is the glue that ensures a successful coaching relationship, and business knowledge is the element of competitive advantage which ensures that you add value to your client, not just in each session, but in terms of helping their business to grow from strength to strength. APPLY TODAY. Click here for our online application process, and for more information. Hi Sara. You should receive an email from us shortly. I’m interested to be a business coach. Will you please send me more details. Hi Muhle. You should be receiving an email from us shortly. Hi Portia. You should be receiving an email from us shortly. We will be in touch shortly. Many thanks. Please send me more information? Hi Bronwyn. Thanks for getting in touch. Neale Roberts will be in contact. Hi Tracey. Thanks for getting in touch. Neale Roberts will be in contact. Hi Ayanda. Neale Roberts will be in contact shortly. I would like to be a business coach pls forward me course details.. Please send more information about the Business coach and fees.